The day is a mix of hands on science, exhibits and talks, with content aimed at all age groups. 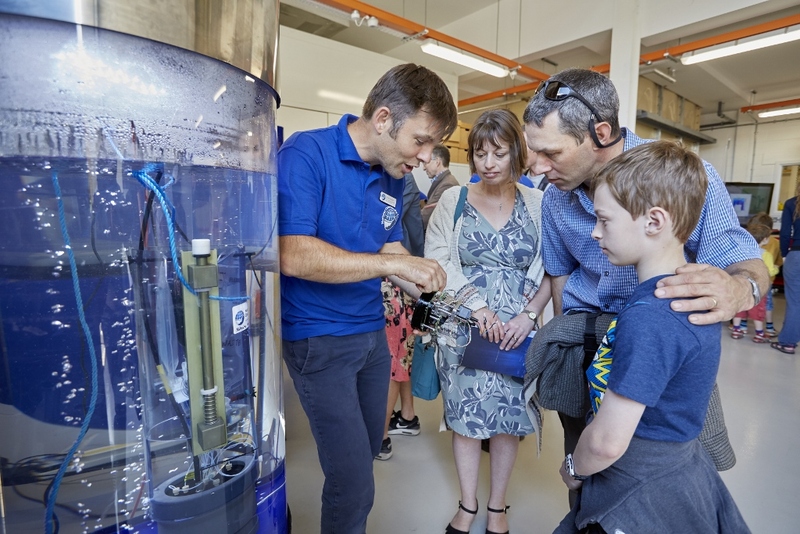 We're super busy with deployments of our autonomous vehicle fleet at the moment and so our workshops are out of bounds for safety reasons, and both of our ships are currently at sea, but there's still plenty to see and do including our work looking at microplastics in the deep ocean, a look through Virtual Reality at cold water corals and laboratory experiments and demonstrations. Please note, that as we are located within a port, all attendees must register for their free tickets. Once all tickets have gone, a waiting list is created, and so we do ask that if you register and then decide not to come, that you do please release your tickets back into the system so they can be reallocated. To receive reminders of all of the NOC’s public events, please sign up to our events newsletter.